* Presentation of suitable evidence of less than 3 months will be asked at the venue. If you fail to present such document, we shall ask you to cover the difference with the full fare. This ticket is for general admission, seating is free placement. On the other websites: Fnac . Carrefour . Géant . Magasins U . Intermarché . 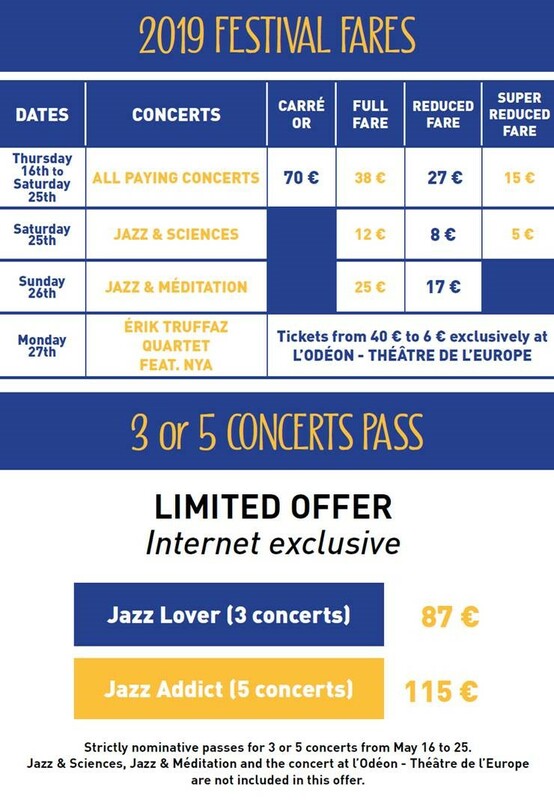 www.fnac.com . www.carrefour.fr . www.francebillet.com . sur votre mobile avec tick&live. AT THE VENUE: 1 hour before the show. If you are disabled, please contact the ticketing team so we can arrange suitable access for you.